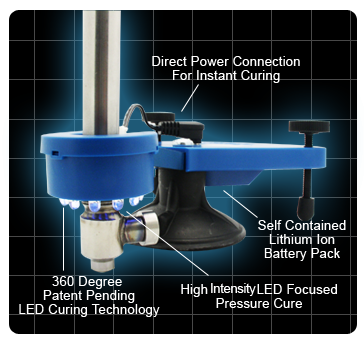 Self contained, this system utilizes a lithium Ion battery for long lasting rechargeable power. LED technology is durable enough for over 15,000 repairs. Just another way GT is leading the way.